I started blogging and speaking at SQL Server events around five years back. I never knew I would make it this far. I have seen many friends who had done this for few days, weeks and months and got back to their routine. It takes a great deal to keep oneself motivated and dedicated towards their passion. I am still here and hope to be here for a while. From the time I started doing the community bit, there are few people I always looked up to, who have been involved with community and especially SQL Server for more than a decade. They have always kept the new bunch on their toes and guided us in the right direction. I personally thank each and every one of the community helpers without whom, I would not have learned what I know and share today. I have learnt a lot from the blogs and content shared by these experts. I always felt how wonderful it would be to work for one of these great minds. One such expert is Rob Farley. I have read his blogs and books from time to time. He has been a great mentor and guide when I moved to Adelaide. It is nice to talk to a person who speaks same language in this small and happy town. To cut to the chase, starting January 2017, I will be joining LobsterPot Solutions and working for Rob Farley. It is hard to express how thrilled I am to break this news. Till now I have got my hands on few automation projects to build some DBA tools using .NET and Powershell. Along the way did a fair bit of performance tuning and Architecting of HA and DR solutions. I felt this is the right time to get into consulting. I started talking to Rob about guidance. This ended up as a chance for me to work for Rob. And so, I will be adding the Data Platform Consultant suit to my DBA hat and Programming Shoes. It is a great honor to be working for Rob and a great opportunity to learn every bit I can working for him. I hope to bring a fair bit of knowledge from my experience to the table. This winter has been a wonderful journey for me. The only difference is the winter has been all year long. In September 2014, it started with the SQLServerGeeks site revamp. Then came the One DMV a Day series, the longest one day series on any topic on SQL Server so far. 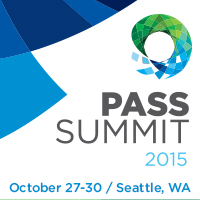 While the series happened, I got a chance to attend my first international conference at PASS Summit 2014. The US visit in November was a good way to start the peak of winter at -3 degrees. Unfortunately this year I will not be able to make it to PASS Summit, as a new member is about to join my family. Back in India in December, the preparations were high to announce the SQLServerGeeks Annual Summit 2015, Asia’s first and the largest SQL conference. You all know how big the conference has become. Chilling January in India was served with the most awesome event of the year. Selection of my session for SQLBits has been so overwhelming. My first international speaking experience – The news made my February a long cool wait of my travel to London. March has presented me with the challenge of London cold. I have hardly seen the sun for next one month as I cherished every moment at SQLBits and visiting family in London. Not to mention, the great masters and experts of SQL world, I met again. April was quiet warm but thanks to the busy schedule at office which kept me cold in the AC during the day. The conference is closer by a month now and task list has been laid out for the SQLServerGeeks team. By end of April I landed in Australia. Australia welcomes with the spirit of welcoming winter with me. Day by day I have seen the day getting shorter and colder, the whole May. This also made it easy for me to stick around the laptop and announce our speakers and winners for #SSGAS2015. A moment I will cherish forever. A moment to live. A moment to celebrate. A moment to THANK. Thanks to SQLServerGeeks which has provided a wonderful platform. Thanks to Microsoft who made the beautiful product like SQL Server. Thanks to colleagues and friends for understanding when I had to skip the get togethers. A big THANK YOU to my family who encouraged me when I spent 4-5 hours every day after and before work for my passion. Without you all, I will not be what I am today. I promise to continue to do what I do with your support. Hope you are enjoying my blogs. After the recent technical ride of One DMV a Day series I have been exploring more ways to get involved with the community. One good news is we are going to start soon with the SQL Server Day events in India. Adding to it I have submitted a session at SQLBits XIV. But for it to get selected I need your vote. Below is the session I submitted. All you need to do is vote for my session on the sessions page. You have to join and login to vote which is FREE. Please vote, even if you are not voting for my session your vote will get the valuable sessions to the conference.